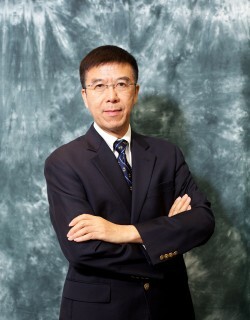 Prof. Jianmin Jia is the presidential chair professor at The Chinese University of Hong Kong, Shenzhen. He was a Professor and Chairman in Department of Marketing at The Chinese University of Hong Kong, Chang Jiang Chair Professor appointed by the Ministry of Education, China, and Dean of School of Economics and Management, Southwest Jiaotong University, China. Prof. Jia received his PhD from the McCombs School of Business at the University of Texas at Austin. He was a visiting scholar at Carnegie Mellon University and Duke University for three years. Prof. Jia was the prize winner of the 1994 Decision Analysis Student Paper Competition sponsored by the Decision Analysis Society of INFORMS (USA), and his dissertation about “Measures of risk and risk-value theory” received Honorable Mention Award from the University of Texas at Austin. Prof. Jia serves as a member of the National MBA Education Supervisory Committee of China, and a member of the Expert Consultation Committee of the Management Sciences Department of the Natural Science Foundation of China. His research and teaching interests include big data marketing, social networks, consumer choice, and decision making. He was an Associate Editor of Operations Research, Academic Trustee of Marketing Science Institute (USA), and Vice Chairman of the Academic Committee of China Marketing Association. Prof. Jia published in Management Science, Marketing Science, Psychological Science, Journal of Consumer Research, Operations Research and other leading international and Chinese journals. 1. Jia, J.S., J. Jia, C. Hsee, and B. Shiv (2017), “The Role of Hedonic Behavior in Reducing Perceived Risk: Evidence from Post-Earthquake Mobile App Data,” Psychological Science, Vol. 28(1), pp. 23–35. 2. Chen, Rong and Jianmin Jia (2012), “Regret and Performance Uncertainty in Consumer Repeat Choice,” Marketing Letters, Vol. 23, No. 1, pp. 353-365. 3. Jia, Jianmin, and James Dyer (2009), “Decision making based on risk value tradeoffs,” in The Mathematics of Preference, Choice and Order: Essays in Honor of Peter C. Fishburn, pp. 59-72, edited by Brames et al., Springer-Verlag (Studies in Choice and Welfare Series). 4. Jia, J, J.S. Dyer, and J. Butler (2008), "Axiomatic models of perceived risk," in Encyclopedia of Quantitative Risk Analysis and Assessment, pp. 84-93, edited by Melnick E. & Everitt B., John Wiley & Sons. 5. Jia, J, J.S. Dyer, and J. Butler (2008), "Axiomatic measures of risk and risk-value models,” in Encyclopedia of Quantitative Risk Analysis and Assessment, pp. 94-103, edited by Melnick E. & Everitt B., John Wiley & Sons. 6. Butler, J.C., J.S. Dyer, J. Jia and K. Tomak (2008),“Enabling E-transactions with Multi-attribute Preference Models,” European Journal of Operational Research, Vol.186, No.2, pp.748-765. 7. Butler, J.C., J.S. Dyer and J. Jia (2006), “Using Attributes to Predict Objectives in Preference Models,” Decision Analysis, Vol. 3, No. 2, pp.100-116. 8. Chen, Rong and Jianmin Jia (2005), “Consumer choices under small probabilities: Overweighting or underweighting?” Marketing Letters, Vol. 16, No. 1, pp.5-18. 9. Butler, J.C., J.S. Dyer and J. Jia (2005), “An empirical investigation of the assumptions of risk-value models,” Journal of Risk and Uncertainty, Vol. 30, No. 2, pp.133-156. 10. Butler, J.C., A.N. Chebeskov, J.S. Dyer, T.A. Edmunds, J. Jia, V.I. Oussanov (2005),“The United States and Russia evaluate plutonium disposition options with multiattribute utility theory,” Interfaces, Vol. 35, No. 1, pp. 88-101. 11. Luce, M.F., J. Jia and G.W. Fischer (2003), “How much do you like it? Within-alternative conflict and subjective confidence in consumer judgments,” Journal of Consumer Research, Vol. 30, No. 3, pp. 464-472. 12. Jia, J., J.S. Dyer and J.C. Butler (2001), "Generalized disappointment models," Journal of Risk and Uncertainty, Vol. 22, No. 1, pp. 59-78. 13. Fischer, G.W., J. Jia, and M.F. Luce (2000), “Attribute conflict and preference uncertainty: The RandMAU Model,” Management Science, Vol. 46, No. 5, pp. 669-684. 14. Fischer, G.W., M.F. Luce, and J. Jia (2000), “Attribute conflict and preference uncertainty: Effects on response time and error,” Management Science, Vol. 46, No. 1, pp. 88-103. 15. Jia, J., J.S. Dyer, and J.C. Butler (1999), "Measures of perceived risk," Management Science, Vol. 45, No. 4, pp. 519-532. 16. Rust, R.T., J. J. Inman, J. Jia, and A. Zahorik (1999), "What you don’t know about customer-perceived quality: The role of customer expectation distributions," Marketing Science, Vol. 18, No. 1, pp. 77-92. 17. Dyer, J.S., T. Edmunds, J.C. Butler, and J. Jia (1998), “A multiattribute utility analysis of alternatives for the disposition of surplus weapons-grade plutonium,” Operations Research, Vol. 46, No. 6, pp. 749-762. 18. Dyer, James S. and Jianmin Jia (1998), "Preference conditions for utility models: A risk-value perspective," Annals of Operations Research, Vol. 80, pp. 167-182. 19. Jia, J., G.W. Fischer, and J. S. Dyer (1998), "Attribute weighting methods and decision quality in the presence of response error: A simulation study," Journal of Behavioral Decision Making, Vol. 11, No. 2, pp. 85-105. 20. Butler, J.C., J. Jia, and J.S. Dyer (1997), "Simulation techniques for the sensitivity analysis of multi-criteria decision models," European Journal of Operational Research, Vol. 103, No. 3, pp. 531-546. 21. Dyer, James S. and Jianmin Jia (1997), "Relative risk-value models," European Journal of Operational Research, Vol. 103, No. 1, pp. 170-185. 22. Inman, J.J., J.S. Dyer, and J. Jia (1997), "A generalized utility model of disappointment and regret effects on post-choice valuation," Marketing Science, Vol.16, No. 2, pp. 97-111. 23. Jia, Jianmin and James S. Dyer (1996), "A standard measure of risk and risk-value models," Management Science, Vol. 42, No. 12, pp. 1691-1705.